I began drumming at age 10. My younger days consisted of school music programs, my own bands, private lessons, and a constant desire to get better. In 2003, I auditioned for The University of the Arts music school in Philadelphia, PA where I spent time developing my skills as a drummer and testing the boundaries of musical concepts. U Arts was rated the #1 program in the country for drummers in a 2003 modern drummer magazine poll under the teachings of Rob Brosch, Joe Nero, Jim Paxton, and Marc DiCianni. The lessons I took from that place are ones that have done wonders for my development as a drummer and as a person. My professional career began at age 18, recording, performing, writing, and co-producing songs with various artists in the Philadelphia and New York areas. These days, I own a booking agency cleverly titled Jon Ardito Entertainment. The company is a booking agency specialized in booking entertainment for special events. I remain active as a drummer in one of the bands, performing regularly at special events and clubs along the east coast. So what to do with all these years of experience??? Let’s be real… I teach to make money just like I book entertainment to make money 🙂 but there is a ‘passing of the baton’ I enjoy about teaching. My students mainly seek to develop their drumming abilities or to pursue drumming as a hobby. 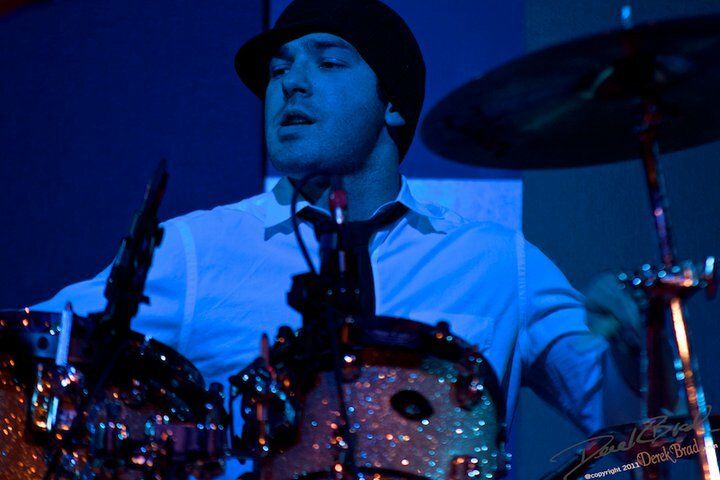 But I also help students establish their place in the local music scene, understand the music industry, use their knowledge to make money, or just relieve a little stress by banging on drums… So whether it’s entertaining your next event or teaching you drum lessons, let me know how I can help you!